Conference center Mühle Meilsdorf. The conference center Mühle Meilsdorf on the Eastern edge of Hamburg provides you with an exclusive atmosphere for seminars, presentations and conferences. Make use of the idyllically situated mill Mühle Meilsdorf for your seminars, conferences and presentations. The generously sized rooms provide space for up to 50 participants; 4 attractive guest rooms are available for overnight stays. 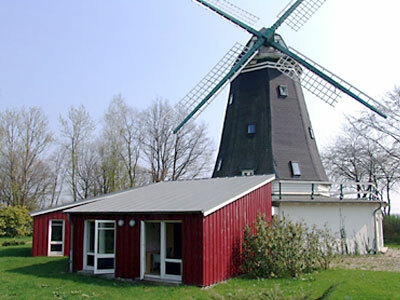 The mill Mühle Meilsdorf is situated at the Eastern edge of Hamburg and can be easily reached via highway A1. The mill is only 3-minutes drive from the Stapelfeld exit. The premises include ample parking spaces. The mill has been fully renovated and rebuilt. The high-quality interior design and equipment convey discreet luxury, modernity and a meditative atmosphere. A love for detail is apparent everywhere. The generous outside area with a pond and park area is designed in line with the surrounding countryside and delightful throughout the year, offering many opportunities for use.